For almost 20 years, Sunshine Coast Adventures has not only been teaching folks how to sail but much, much more. Thousands of happy students turned pirates have come on board. 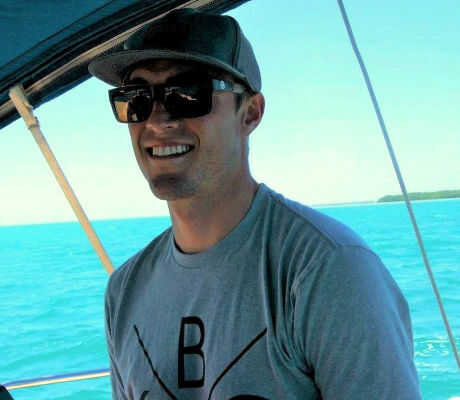 Many of our graduates go on to continue their sailing education, purchase their own boats, and even pursue a dream of cruising. From the moment you enter our Tiki classroom, to your first solo tack, to snorkeling the beautiful coral reef or reeling in a big fish while under sail – you can’t help but feel that this adventure is life changing. Our passion is sailing and the sea. That is why on most of our days off you’ll find us out there, on our boats, exploring and breathing it in. 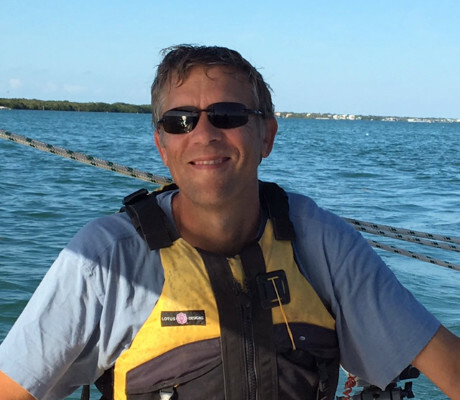 It is no wonder why founder and owner, Jennifer MacLean, has been voted American Sailing Association's Outstanding Instructor not once or twice - but four times. When you do what you love, it just can’t be called work. Life is better at sea, come play with us! Have questions or ready to book your adventure? Indian Summer II, is a 41 foot Morgan Out Island. Built in 1980, she has seen many wonderous voyages but has been maintained with such detail that she is still a beauty today. Indian Summer has a forward and aft captain’s cabin, with two bunks in the forward cabin. The spacious saloon is equipped to sleep up to three people. There is one head in the forward cabin and one in the aft captain’s quarters. Celeste is a 19 foot O’Day. She is a pristine, classic beauty! With her sloop-rigged keelboat design, she is the perfect boat for new sailors to learn. 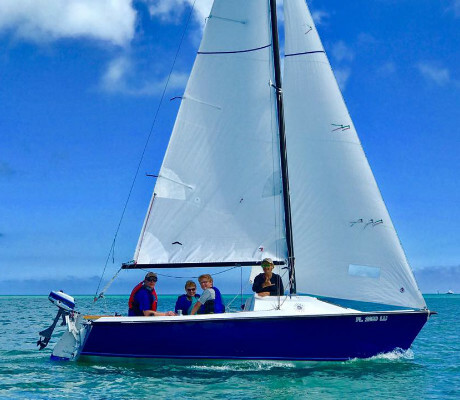 When available, ASA101 – Basic Keelboat Sailing classes are taught on Celeste. Her smaller layout will make your first lessons easier to comprehend, making your transition to a larger rigged boat a little less over-whelming. 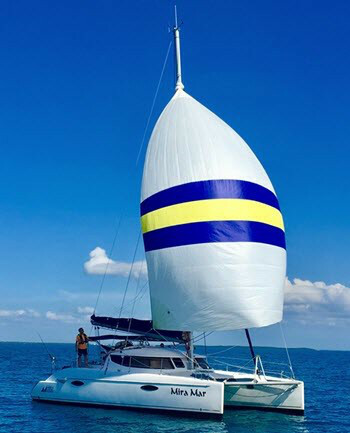 Mira Mar is a 40 foot, Fountaine Pajot Lavezzi catamran built in 2006 in France by one of the world's leading sailing catamaran manufacturers. Mira Mar is a 4-cabin, 2-head layout, with queen/double berths. Cabin fans and LED lights throughout. Ample ventilation via five opening deck hatches, four opening hull port lights, and two escape hatches. 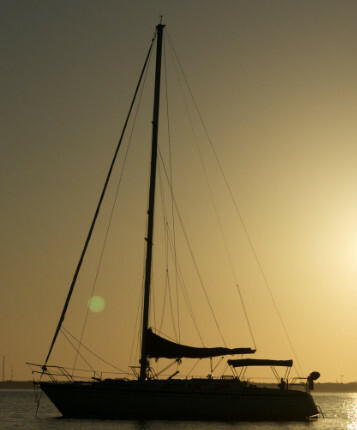 S/V Island Sun is a clean and sleek O'Day 39. She offers safety, comfort and reliability and will take you around the Keys in style. 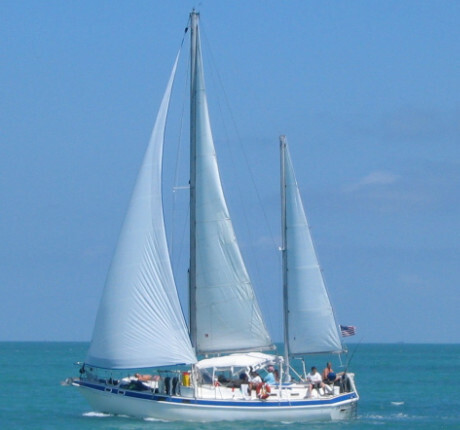 She is a tried and true sailing boat with everything we will need to have a good time. She offers 3 cabins, a fully galley and space to relax and lounge.